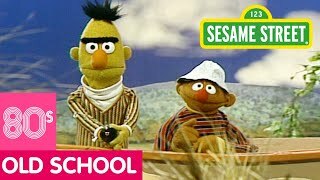 Bert and Ernie explore a pyramid. I don't know why, but when I was like 4, this was terrifying. I remember this scene distinctly because of it. This scared the hell out of me when I was 5! 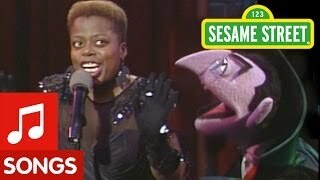 Classic Sesame Street beats the Modern Sesame Street!!!!!! Happy 50th Birthday, Sesame Street!!!! How do they not know the statues are statues of their ancient ancestors? 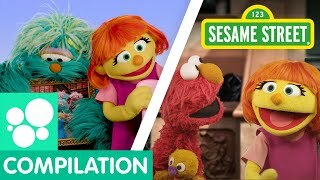 This Sesame Street video is so funny and very classical. Classic Sesame Street Sketches are better than the modern ones. This still frightens me after 30 years. Lol! I love Bert and Ernie even as a adult. As a kid I always wanted the Bert statue to beat the Ernie statue to the punch line & finish with the Bert bleat. I used to love Bert and Ernie when I was younger! Give a big hand to Dave Goetz, the last of the pioneer muppeteers in one of his Sesame Street appearances as the Statue! He also voiced Beauregard and Gonzo on the Muppet Show. I remember there was only music at the beginning and end. Did they add music or am I remembering wrong? I was scared of this as a kid... Lol so glad after reading the comments I wasn't the only one scared.. I must've been four when I saw this for the first time. Twenty-one now. They have King Ernie and King Bert in this pyramid. But King Ernie came to life and tapped Ernie and later talked to him and to Bert before leaving in fear. Ha! I remember watching this as a kid. Creeped me out a bit. If you press this it will magically turn blue! I don't remember this one, and I watched a LOT of Sesame Street as a small child in the early 1990s. I think I know why Bert was running away. Maybe his "mummy" was calling him. 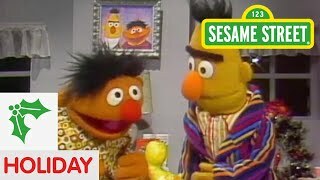 In a real-life Sesame Street, Burt and Ernie would be played by Harold Ramos and Dan Akroyd. 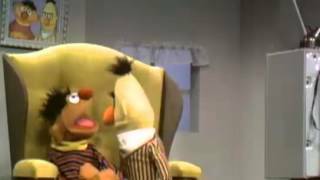 Bert and Ernie look like they're in "Night at the Museum." 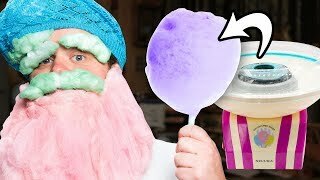 This is more a horror movie than a skit, but what should we name it? The only way the Ernie statue would know Rubber Duckie is if he brought it with him. And also the two Ernies weren’t really singing the song at 3:46. Bert: Yeah uh bye-bye statue. Eh' eh' eh' eh' eh. Bert Statue:(Preformed by Richard Hunt)Bye bye. Eh' eh' eh' eh' eh. "Go ahead, where do I park my bicycle??" At 20 years old, this skit from my childhood still haunts me. Since there was also a statue of Bert, that statue was the one that should have said "Bye-bye". Yeah that would have been great! Because Jerry Nelson did the Erine statue I think for that part Richard Hunt might have done good due to playing Bert's nephew Brad. Wait how did they film this? Do Ernie and Bert have twins??? It is indeed a bit scary. Loved this when I was little. The idea that a statue would come to life just to sing Rubber Duckie... hilarious! But... That creepy background music was NOT in this when I was a kid. What were they thinking!? That music is fitting for a horror movie for adults, not a comedy sketch for five year olds! Alternative ending: 2:58 Bert: What’s the capital of Delaware? Statute: The capital of Delaware is Dover. Bert and Ernie scream and leave. It's like an Abbott and Costello movie, like "Hold That Ghost"
Also like their movie Abbott and Costello Meet the Killer, Boris Karloff. My favorite when I was a kid... Still love Bert & Ernie!. It would’ve been better if Ernie had Rubber Ducky with him. This is like almost Abbott and Costello Meet The Mummy imagine if Bert and Ernie Meet Frankenstein's monster and the Invisible Man. It's also like Abbott and Costello Meet the Killer, Boris Karloff, when Costello kept finding dead bodies around his hotel room and they disappeared by the time he came back with Abbott. How come the other statue didn’t move? You know the one that looks just like Bert. +Jack Carter Yeah that would have been great! Because of the Ernie statue being as much of a pain as the real Ernie. Maybe after they left, the Bert statue said "I wish you'd stop trolling the tourists!" You need a special permit to be in one of these. Bert: "There's no accounting for taste", classic line. Even as a kid back in the 80's I was never terrified by this. I always find it hilarious. I had balls not to. My question is what happened after Bert and Ernie left the pyramid? I remember seeing this on Elmo says BOO! This episode terrified me when I watched it 35 years ago. The creepiest thing about this is that the statues look exactly like Ernie and Bert.